Hey all. I’m still having a blast building and decorating in TS3. Although I really wish there were more options for wall hangings…and deco items…and windows… (I was sooo spoiled by all of the awesome custom content for TS2! Weren’t we all?) Anyhoo, this was a house I built for a happily single Sim who was going to be the narrator for my attempt at a story. Unfortunately her family got messed up and I’ll have to re-create them. In the meantime, I decided to just finish her house and make it available for upload. It was inspired by a real-life house in my hometown, so it’s a bit on the small side. There’s not even room for a double bed upstairs! So it’s perfect for a lifelong bachelor or bachelorette. Or you could put another single bed in the “office” area and have roomies. You could also expand the area by the easel and make a master bedroom. The possibilities are endless. The house reminds me of those old craftsman-style cottages, so I decorated it in that style, too. More pics after the jump! Also, for those of you who may have missed it, The Perfidia (from my post “Building Is Fun“) is also available on Mod the Sims. Hope you enjoy! Oh and I’ve just noticed that the table and chairs are actually from The Sims 2, but with different textures. I hate using them in TS2 but they look delicious with new colors. Hehe, gotta love the loners! I have an affinity for cute little houses myself! Beautiful as always Jen! Your buildings are so unique and inspiring. Pretty much all of my buildings are the same style ultimately, that is very cottage-y. But you really tempt me to think out of my comfortable and cosy little box and try different kinds of styles. I love this house so very much! Thanks, Mandie! I love your houses, too. I’m getting caught up on Patty right now! Aww! That house is awesome. A nice, cozy house fit for an outdoorsy loner… I could totally live there, LOL. I am so with you on wall hangings. They’re just doesn’t seem to be enough variety! At least we can recolor frames, though. Now if only they’d implement CAST to allow us to put our own, custom pictures in the actual picture part. That would be very cool. Oh man, I would LOVE that. Something like the SimPE Photo Studio for TS3 would rock my world! You and Beatdoc16 make the best houses! I love all your shinys! Thank you, Lisa! I adore Beatdoc’s stuff, too! I’ve downloaded your fine house from mts2 and feel that since i’ve been lurking again lately i should at least pop up once in a while to greet you haha. Anyway, i love this house! It look cosy as always your house building skill always amazed me! Heya, Karen! :-) Thanks for your nice comments. 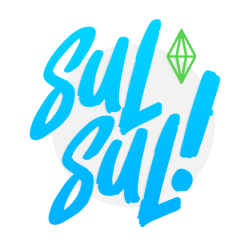 Hope you’re having fun with TS3! Eeee it’s so cute and adorable! The front garden is so cute and cottage-y, I can see it being full of wildflowers. I love the warm living room too, I can just imagine how much my sims would love sitting there with a big, roaring fire.